Visions of Pasaquan is the first poetry reading to be held during the Artists for Pasaquan festival on the grounds of St. Eom’s Pasaquan, the home of the late Eddie Owens Martin, St. Eom. Along with many other poets, I will be reading a few of my poems. 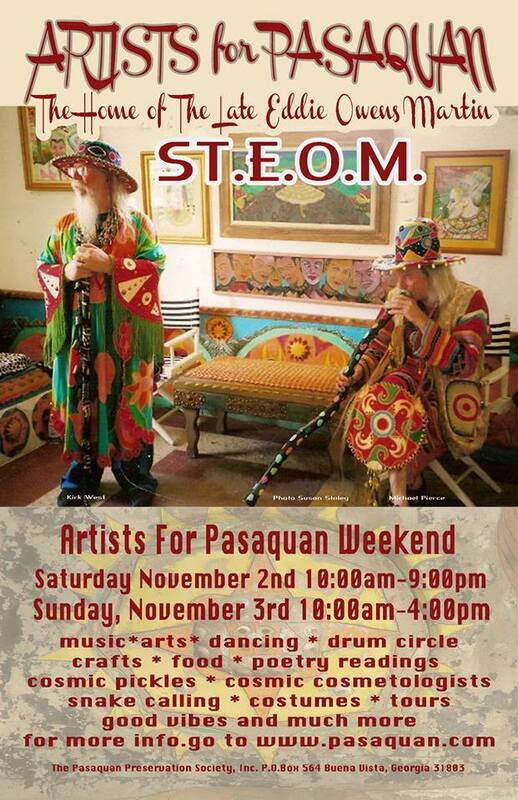 I’m looking forward to seeing the art, listening to good music, and experiencing Pasaquan. Of course, the day won’t be complete without tasting a cosmic pickle! I’m going to read my poem “Woman Buys Soul on eBay,” which is currently up at the pop culture edition of Hobble Creek Review, courtesy of guest editor, Collin Kelley.